If you’ve been to a concert recently along the Front Range, you may have come across Fort Collins photographer Michael Emanuele, aka Backstage Flash. Emblazoned with his Backstage Flash logo and his camera gear, Emanuele has been busy capturing some of the best Northern Colorado shows. Recently, he was on tour with The Rolling Stones, for the band’s No Filter Tour in Europe. We recently caught up with Emanuele, to talk about the tour, the art of concert photography, and more. This interview has been edited for clarity. All images courtesy of Michael Emanuele. First of all, let’s start with the biggie. How did you end up photographing The Rolling Stones? Is that a job that you “apply for”? I happen to know some folks that are very involved with the band. I have known Ronnie Wood for several years and I have met the rest of the band on occasion. But it all comes back to my behind the scenes connections. I did, however, apply and I sent some other photography work that I have done in the past to the company in England that handles the Rolling Stones photographers and media, and I was recommended. So I got on board and it’s been an amazing experience. You shot their most current tour – in Europe. Which cities did you get to photograph them in? Yes, I worked on the 2017/2018 No Filter Tour of Europe. I worked in Amsterdam, Copenhagen, Dusseldorf and London. With London being the most recent and the most fun as I have a very good mate that lives there and he is my connection to the band. It started back in 2007 when I was over there seeing the Stones and we just happened to meet; a few days later I was attending Ronnie Wood’s sixty year birthday celebration along with Mick, Jeff Beck, Pete Townsend to name a few. Eleven years later I’m back, but this time as a photographer. From a photographer’s perspective, how difficult (or easy) is it to photograph arguably the greatest rock and roll band ever? What’s the biggest challenge, and what was the part that was easier than you might have expected? It is kind of like any other shoot, except it’s the Rolling Stones and it is electric. If you have ever seen them you can relate to this statement. The biggest challenge is you are only allowed to photograph two songs and it is from the end of the long catwalk, so bring the proper equipment. Other than that it is pretty easy and I do get goosebumps every time. From a listener’s perspective, how good are the Stones sounding now? They sound amazing. They have been doing this for some time and it’s a well oiled machine. Like any other band there are mistakes, but that is what keeps it real. They are people that perform and they always give 100 percent, every night. And they are all seventy plus. Did you get any intimate shots, or get a chance to hang out with any members of the band during the tour and if so, what’s it like being one of the guys? On tour it’s all business, and when you are a credited photographer you are in and out and you never have contact with the band. I have met them all on several occasions in different social settings and they are a great bunch. Mick is just so funny and very polite; they all are. Can you describe the feeling of being in the photographers pit for the Stones, or any show in general. You have the best seat in the house – are you able to enjoy the music, or is it all business? The feeling really can’t be described. You know it’s coming and you shake a little. It’s all business and I am focused on the job at hand and I don’t hear the music, I just see the images coming to life before me. It ‘s that way with most bands, but the Stones way more. 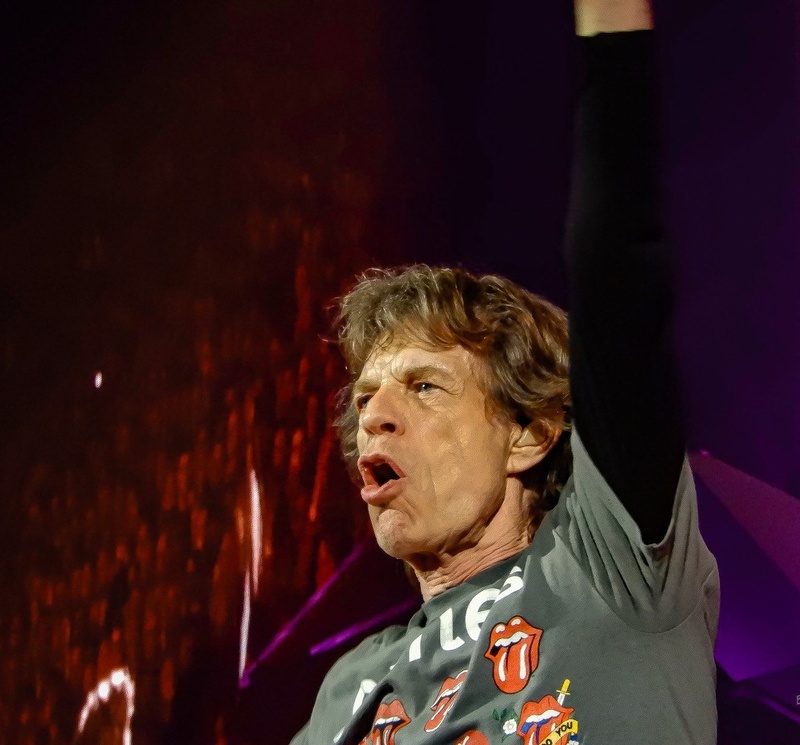 What’s show day like for you – how do you prepare for a Stones show? Is it any different than other concerts you photograph? I just make sure everything is working the way it should. I don’t get nervous at all. I love what I do and I want to create the best images that I can. There is no real preparation other than being ready and on time. Do you have advice for beginners – how can get they get a gig where they’re shooting some of the biggest bands in the world? Be persistent, be polite and be a pro. Have your resume ready to go out at all times and basically don’t step on any ones toes in this business. What are some of the shows in Colorado on your radar over the next few months? 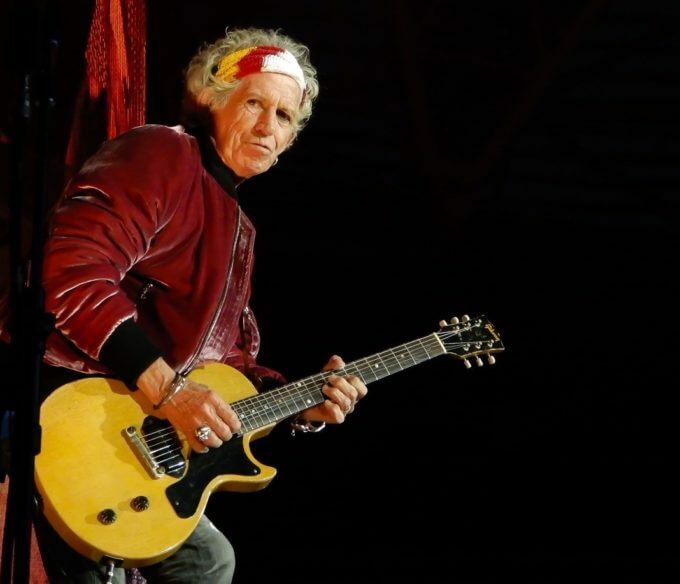 There was some talk of a Stones tour in North America – did you catch any tour news while you were over in Europe? I will be working with Robert Plant, Samantha Fish, Gov’t Mule, and more. I shoot many festivals and I am also the house photographer for the Aggie Theatre, Hodi’s Half Note and I am one of the house guys at Washington’s in Fort Collins. I will be mostly local for the next few months unless I get a call from someone that wants me to work for them. Fingers crossed for Stones dates in America soon. You do a lot of photography around Northern Colorado – where can our listeners find you next? And where can they find more of your work? I will be in and out of several clubs and theaters over the next few months, some I mentioned above. I also plan on releasing a photography book by Christmas this year. My Facebook page is the most interactive place to find me.